Named for former Atlanta Mayor Jonathan Norcross, it was chartered as a town on October 26, 1870. The city sits along the Eastern Continental Divide. Streams to the west of the city center travel to the Chattahoochee River and ultimately the Gulf of Mexico, while streams to the east flow to the Yellow River, a tributary of the Ocmulgee River, which flows to the Atlantic Ocean north of Brunswick. This divide, or ridge, played a significant role in the early settlement of the area. Originally, the Creek and Cherokee people occupied this land, and the ridgeline was used as a major transportation route. Two American forts were established in the early 19th century due to the War of 1812: Fort Daniel (at Hog Mountain) and Peachtree Fort (in Atlanta). These two forts were connected by this old Indian trail which became known as the original Peachtree Road. By around 1840, this trail had evolved into a stagecoach route connecting South Carolina and Alabama through Georgia. The surrounding area became populated, and the small communities of Pinckneyville and Flint Hill prospered. This all changed with the creation of the Richmond-Danville Railroad, designed to open up the wilderness areas of northeast Georgia. The railroad was proposed in 1856 by Jonathan Norcross (a former Atlanta mayor) and was subsequently approved. Construction was delayed, however, until 1866 because of the Civil War. On September 12, 1869, the first 20 miles (32 km) were completed. On October 16, 1889, John J. Thrasher bought the 250 acres (1.0 km2) surrounding the terminal for $1,650, and a town was born – named for Thrasher’s good friend, Jonathan Norcross. The Brunswick Hotel was built in 1870, and Norcross quickly became known as a resort area, much like East Lake, for Atlantans wanting to escape the rapidly growing city. The new town also meant the demise of the surrounding communities of Pinckneyville and Flint Hill, as people migrated in to build houses, churches, schools, and to be near the railroad. 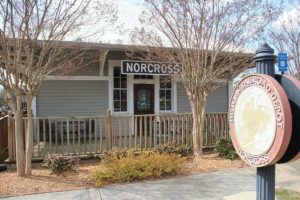 Norcross, Gwinnett County’s second oldest city, saw new roads and highways which were later built by-pass the city, preserving its historic center as a 19th-century railroad town. 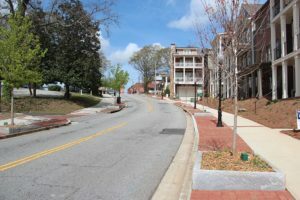 The Norcross Historic District, comprising the center of town, was added to the National Register of Historic Places in 1980. As of 2016, the town has had an influx of Hispanic immigration, leading the white non-Hispanic population to shrink from 95% to 20% in a generation. 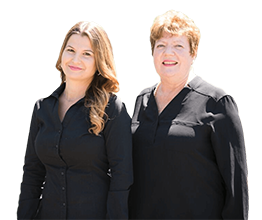 According to the United States Census Bureau, the city of Norcross has a total area of 4.65 square miles (12.05 km2), of which 4.64 square miles (12.02 km2) is land and 0.01 square miles (0.03 km2), or 0.25%, is water. Gwinnett County Transit serve the city. As of 2010, Norcross had a population of 9,116. The racial and ethnic composition of the population was 40.8% white, 19.8% black or African American, 0.7% Native American, 2.1% Asian Indian, 10.7% Asian, 0.1% Pacific Islander, 21.5% from some other race and 4.3% reporting two or more races. 39.4% of the population was Hispanic or Latino. At the 2000 census, there were 8,410 people, 2,644 households and 1,768 families residing in the city. The population density was 2,050.4 per square mile (792.0/km²). There were 2,750 housing units at an average density of 670.5 per square mile (259.0/km²). The racial makeup of the city was 53.50% White, 20.82% African American, 0.54% Native American, 6.10% Asian, 0.04% Pacific Islander, 15.39% from other races, and 3.63% from two or more races. Hispanic or Latino of any race were 40.93% of the population. There were 2,644 households of which 33.6% had children under the age of 18 living with them, 45.3% were married couples living together, 13.2% had a female householder with no husband present, and 33.1% were non-families. 22.2% of all households were made up of individuals and 4.7% had someone living alone who was 65 years of age or older. The average household size was 3.04 and the average family size was 3.35. Age distribution was 22.7% under the age of 18, 14.8% from 18 to 24, 40.9% from 25 to 44, 15.5% from 45 to 64, and 6.1% who were 65 years of age or older. The median age was 30 years. For every 100 females there were 130.7 males. For every 100 females age 18 and over, there were 134.8 males. The median household income was $44,728 and the median family income was $42,893. Males had a median income of $26,485 versus $27,347 for females. The per capita income for the city was $18,573. About 11.8% of families and 17.9% of the population were below the poverty line, including 20.0% of those under age 18 and 17.2% of those age 65 or over. Gwinnett County Public Schools serves Norcross. The main newspaper of Greater Atlanta is the Atlanta Journal-Constitution. The Spanish language newspaper El Nuevo Georgia has its headquarters in unincorporated Gwinnett County near Norcross. The ABC Studios television show Resurrection was filmed in the town square and all around Norcross.